Your opinion matters. Leave your review of CHHOP Peekskill - Caring for the Hungry and Homeless of Peekskill. Description: CHHOP is open 365 days a year 24 hours a day. 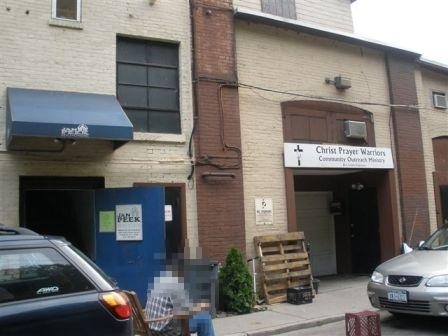 The mission of Caring for the Homeless of Peekskill Inc. (CHOP) is to alleviate hunger and homelessness in our community by providing temporary housing for homeless adults, and by referring clients to appropriate agencies in order to help them attain independent living. Jan Peek House is a safe haven for the area's homeless men and women. Our 19-bed facility is open 365 days a year providing shelter, food and a conduit to comprehensive support services. Clients come to us with a broad range of issues. Some are elderly and have lost their jobs and their homes due to illness, while others are young and without families or other means of emotional and financial support. All of them are people who deserve to live with dignity. Sunny Donut breakfast program provides free, nutritious breakfasts to single parents and their children, to senior citizens, Latino day laborers and the areaï¿½s under- and unemployed. Located at the Salvation Army community kitchen at 117 Nelson Avenue, Sunny Donut is open five mornings a week, Monday through Friday, from 8am to 10am and gives all who walk through its doors a nourishing and friendly way to begin their day. Fred's Pantry at St. Peter's Episcopal Church is CHOP Inc.'s newest program, and Peekskill's first 'choice' food pantry which provides groceries to families and individuals in need. Recently opened in February 2010, Fred's Pantry has served more than 6000 hungry families Our pantry is stocked with canned goods and other non-perishable items as well as frozen meats and vegetables. This program operates every Saturday from 930am - 11am out of St. Peter's Episcopal Church located on 137 N Division Street in Peekskill. Do you have items to donate? Contact CHHOP Peekskill - Caring for the Hungry and Homeless of Peekskill at the phone number provided above to see if they can use any items you may have to donate.